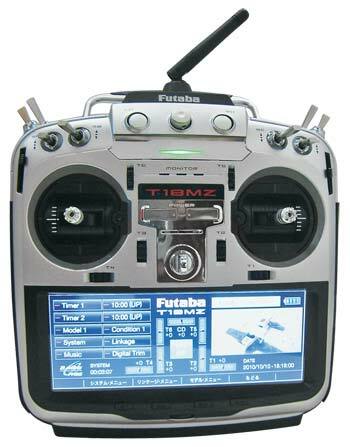 Futaba Releases a new radio with all the bells and whistles…. even a camera! Futaba announced the release of a new 18 channel radio today. It’s a first of it’s kind with 18 true channels and a new version of the FASST 2.4 technology called FASSTest. It also features an SD slot for system updates, model memory and more.